In the original jury decision handed down in May of 2014, both Samsung and Apple were found to have infringed on each others' patents. But Samsung was still ordered to pay $119.6 million in damages to Apple for violating three patents. That was undone by the U.S. Court of Appeals for the Federal Circuit on Friday, according to Reuters. The Washington, D.C.-based court found that Samsung did not infringe on an Apple patent related to data detectors, and also ruled invalid a pair of Apple patents related to "slide to unlock" and autocorrect. Samsung and Apple argued before the appeals court in January, with the bulk of the discussion around Apple's data detectors patent. That invention accounted for more than $98 million of the now-defunct damages that had been awarded to Apple. 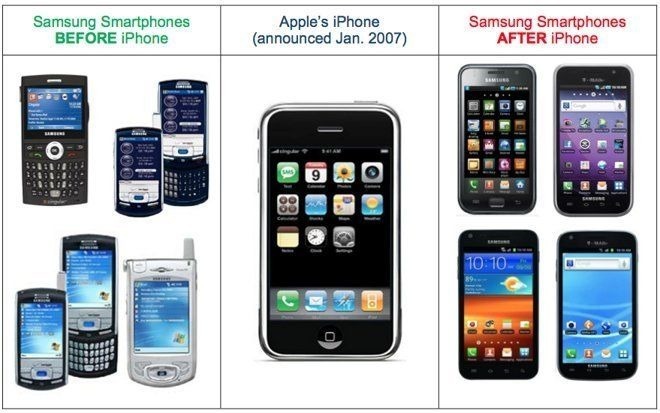 Apple had originally asked the court for more than $2 billion after alleging Samsung infringed on five patents —including swipe-to-text, universal search, and data detectors —while a Samsung counterargument sought just over $6 million for two patents of its own. The ongoing dispute is one of a number of lawsuits that remain between the smartphone rivals. In December, in a separate complaint, Samsung agreed to pay Apple some $548 million for infringing on a different set of patents.